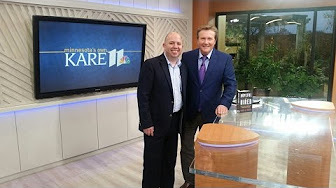 Author Adam Dince joined Pat Evans live on air 11/22/2016 on NBC KARE 11 News. The two spoke about mentorship, Hopeful to Hired, and the Bert Dince Memorial Hopeful to Hired Scholarship. Check out the video clip below.